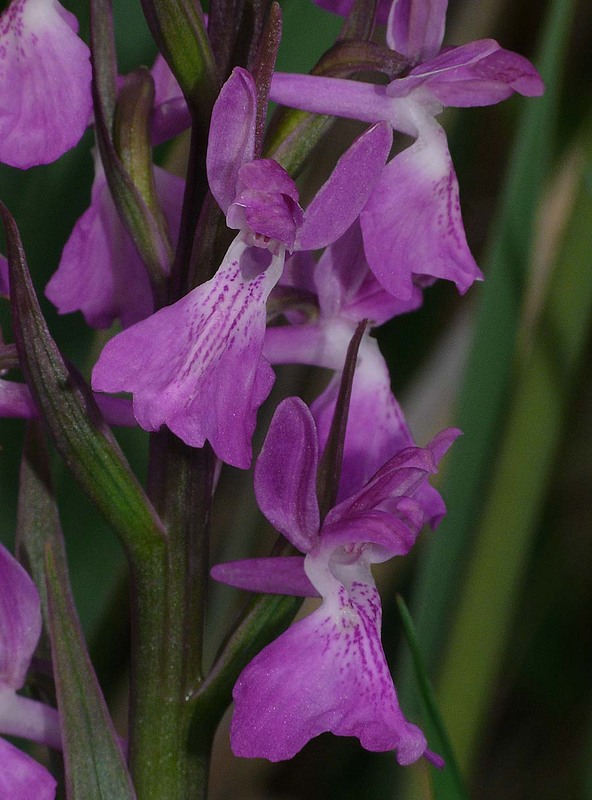 A. robusta was first described from Algiers as Orchis palustris var robusta by Stephenson in 1931. Since that time its taxonomic status has been the subject of revision and differing opinion with some authorities accepting full species status as A. robusta (Bateman) and others preferring sub specific rank as A. palustris ssp robusta. This is a close relative of A. palustris and as can be seen from the illustrations is morphologically very similar to that species. The most significant difference between the two taxons is the size of the plant and individual flowers, which in A. robusta, as its name implies, are in general somewhat larger and sturdier. 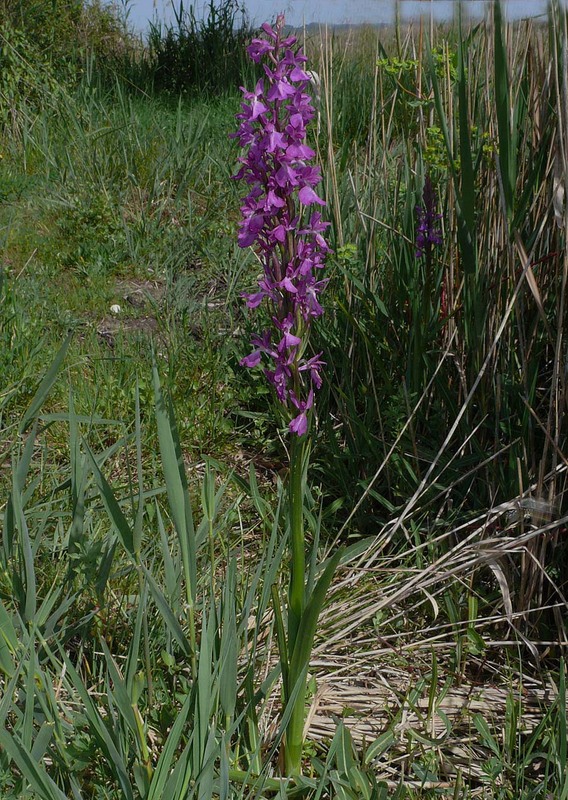 This characteristic is however subject to local variation with some populations of A. palustris producing untypically large examples and similarly some A. robusta colonies, smaller specimens. 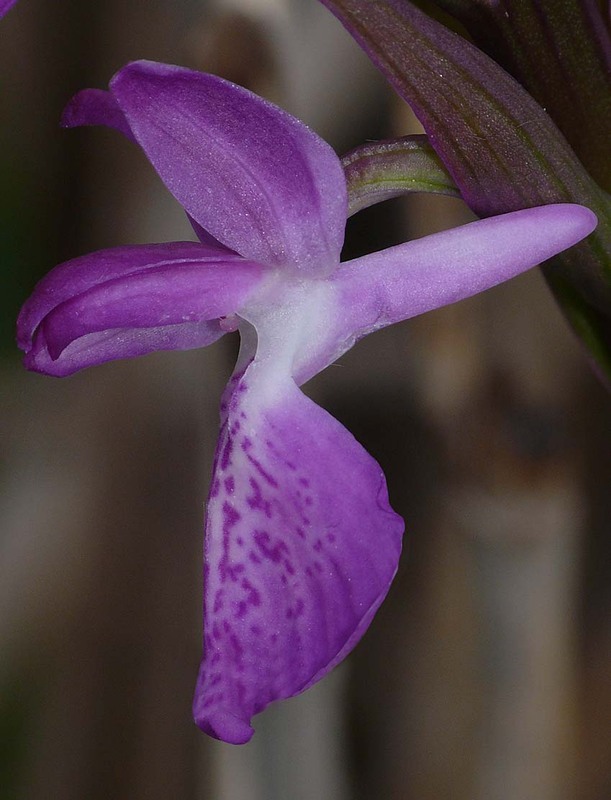 The flower markings and colouration are similar in both species but in A. robusta the lateral lobes are proportionately larger, more flared and less clean cut, resulting in a rather "blousy" appearance. Differentiating these two is however unlikely to be an issue outside of Africa, as the latter species is known only from a limited but healthy population on the Balearic island of Mallorca and a tiny, threatened colony on Crete. 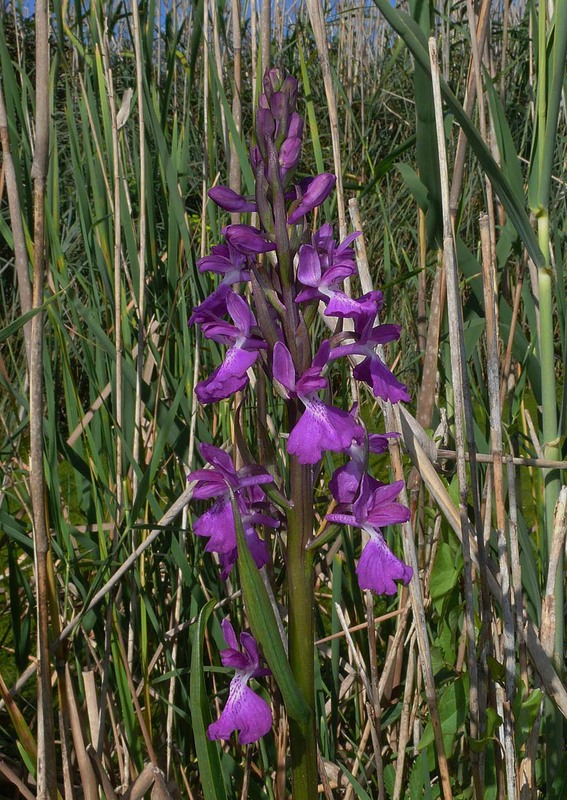 A. palustris is a far more widespread species, though given its shared wetland habitat preference, faces similar threats from agricultural drainage schemes and destructive encroachment by the tourism industry. 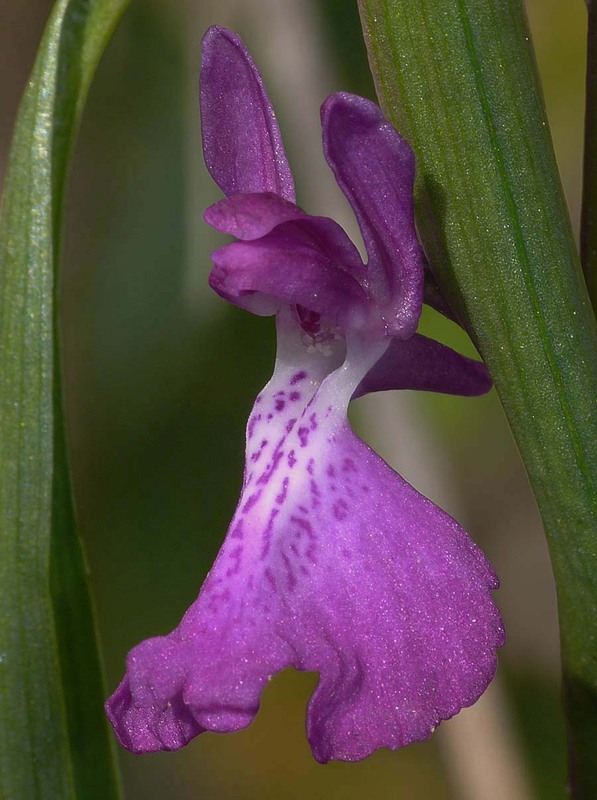 A. robusta shows a partiality for mildly saline conditions and is consequently a largely coastal species, virtually unknown from high ground of any kind. The pictures here are from Mallorca and date from the second week of April.